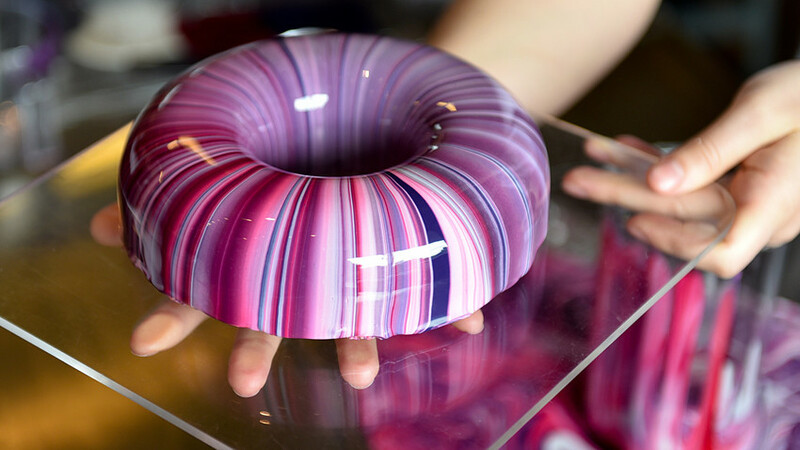 A Russian confectioner in Canada bakes perfect ‘mirror’ cakes and desserts that look like velvet gems. 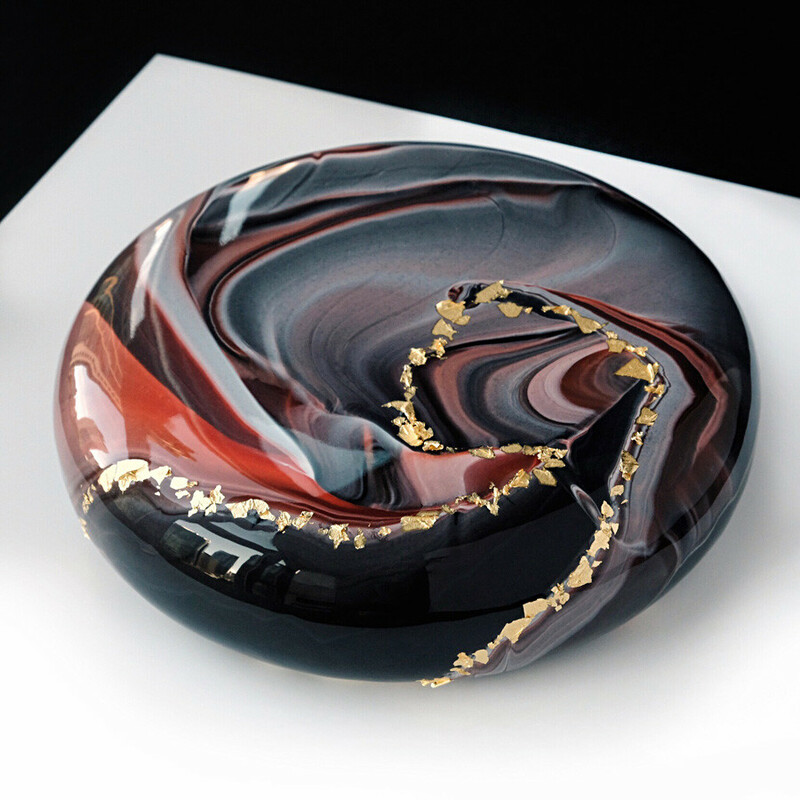 Ksenia Penkina lives in Vancouver and creates "cosmic" cakes and pastries covered with "mirror" glazes, which seem to reflect the whole universe - you can even take a selfie in the reflection. 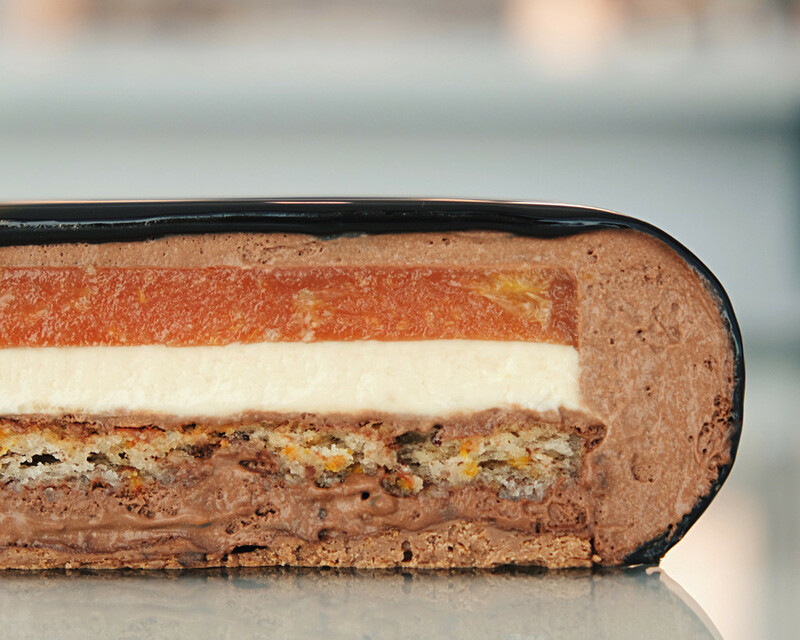 She publishes her confectionery masterpieces on Instagram. She was born in the Ural city of Chelyabinsk, and after graduating she studied and worked in Switzerland, the UK, U.S, and Canada. In Vancouver, she fell in love with the city at first sight. She was captivated by the stunning nature, skyscrapers, and kind and sympathetic people. Her love of desserts appeared suddenly: Ksenia’s sister Alexandra created mind-blowing cakes - it was impossible to take one’s eyes away from them. "I will never forget how much time and knowledge she has given to me and will always be grateful to her for this," Ksenia told Russia Beyond. 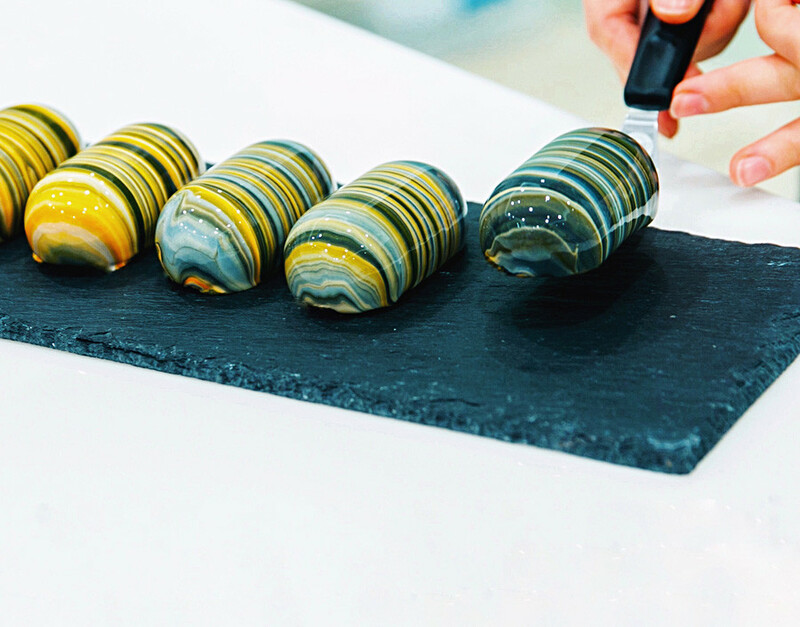 "Since then, the confectionary world has become a form of art: The art of textures, flavors, and design." 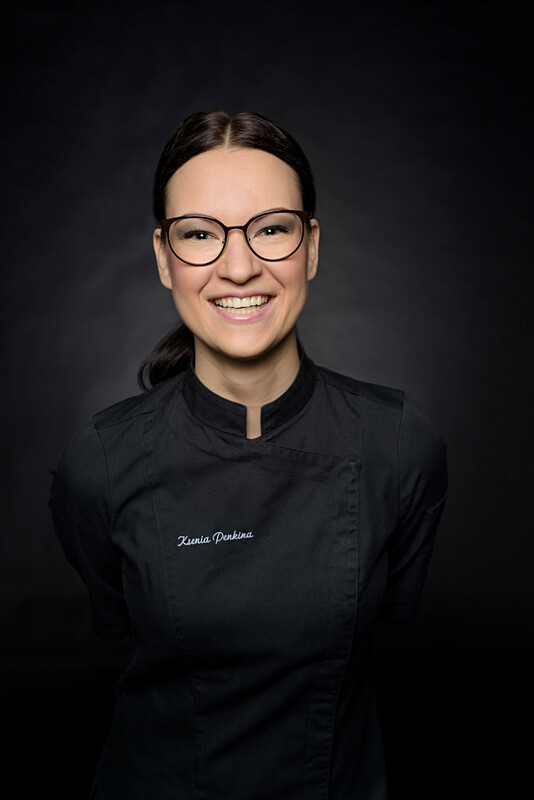 Then she decided to continue her education at the French Pastry School, Chicago, and also learnt first hand from renowned confectioners including Vera Nikandrova, Amaury Guichon, Frank Haasnoot, Karim Bourgi, and Jordi Bordas. 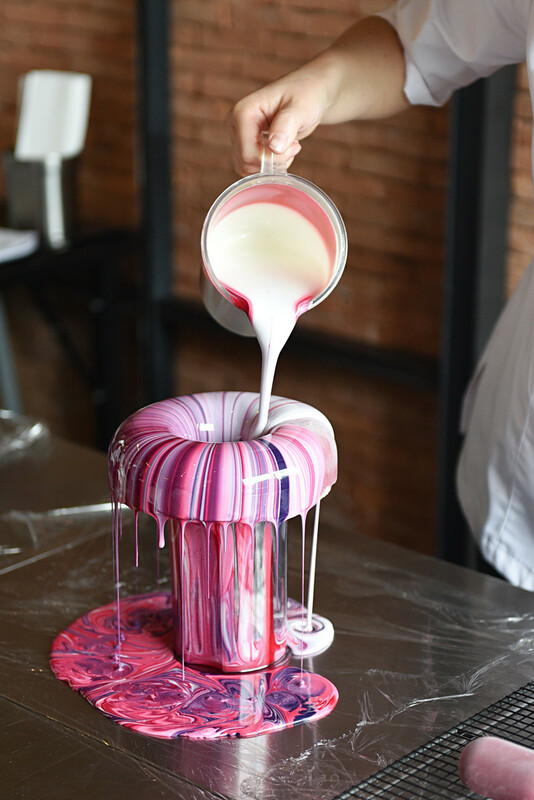 Creating one of these multilayer cake takes at least three days, because each layer requires long-term “stabilization.” The most difficult thing is waiting for the final product, says the pastry chef. 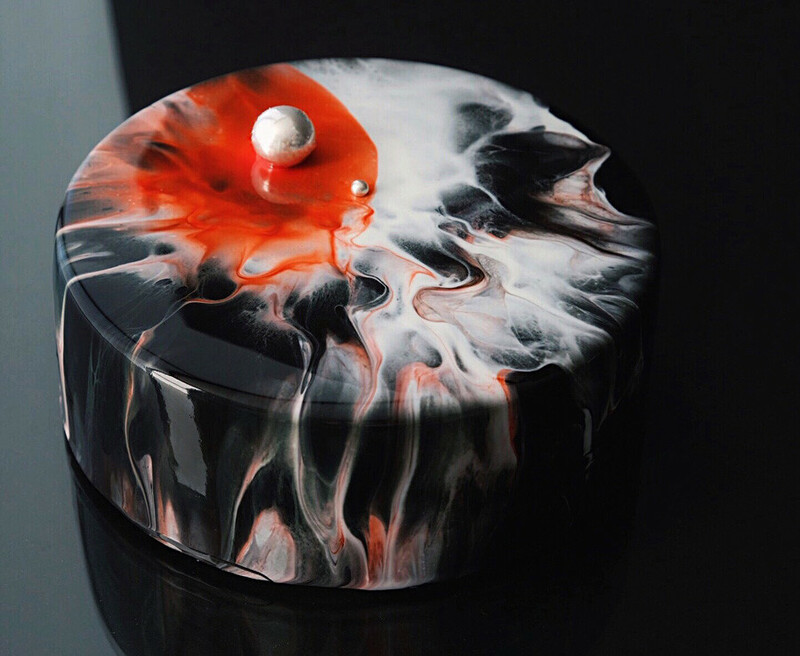 "As for the decoration: Glazes and various effects - it is not predictable at all, so when you manage to create a masterpiece, it’s always long-awaited happiness," Ksenia says. 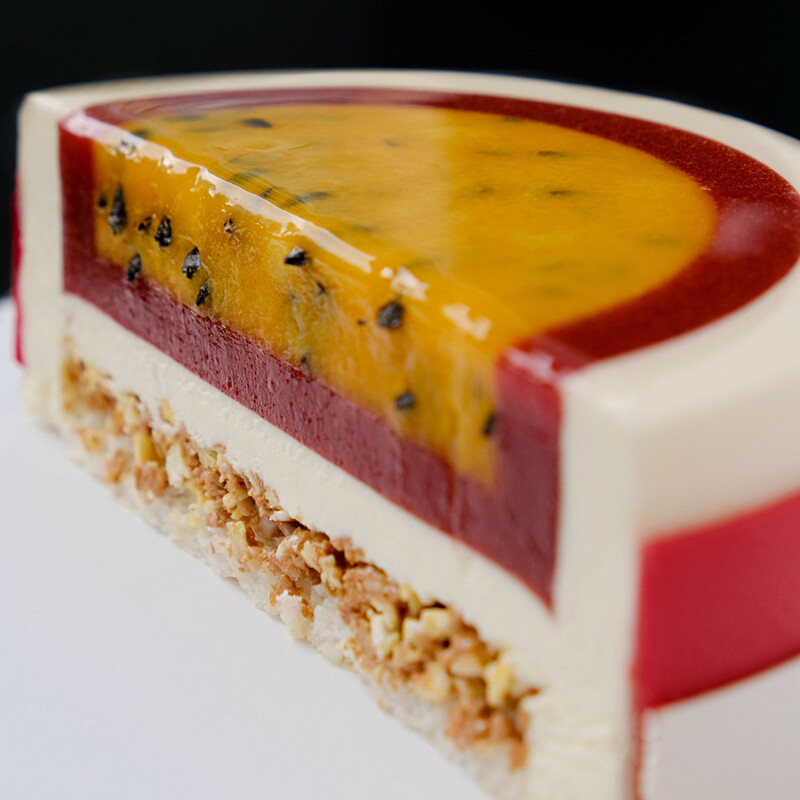 "Basically, my desserts combine several glaze colors and minimal decoration," Ksenia explains. "I think more about color combinations and effects than decorations, which are often excessive." 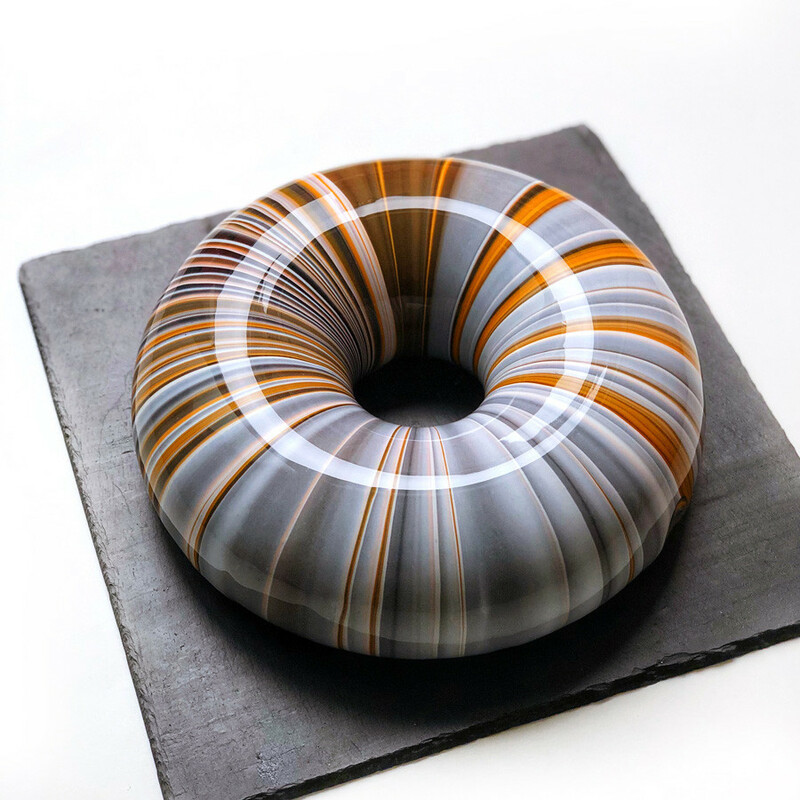 In addition to the "cosmic" mirror cakes, Ksenia creates gem-like cakes. 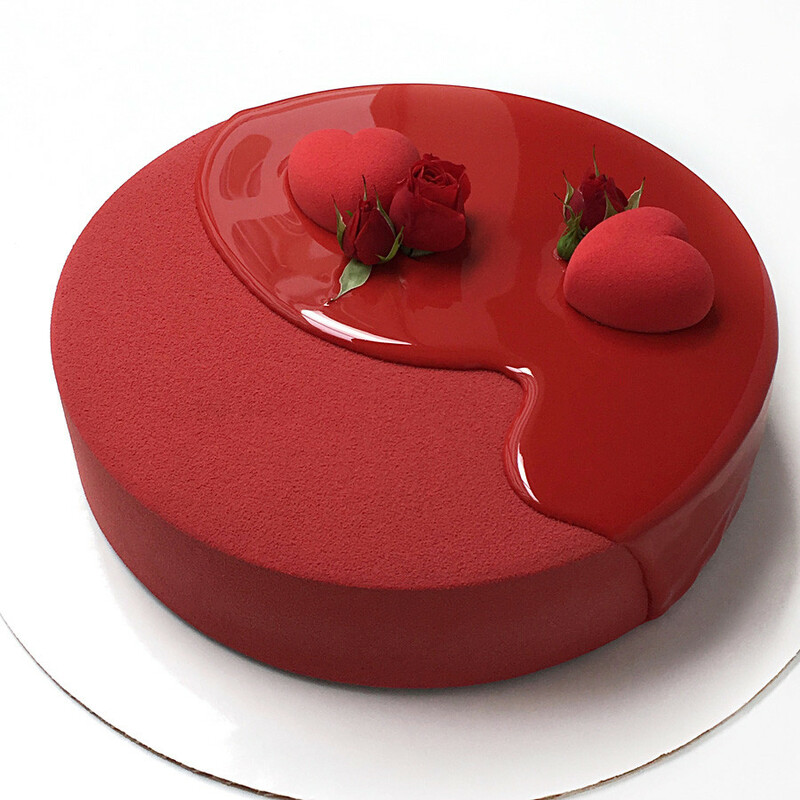 All her desserts are made from natural ingredients and are really tasty, but who has the courage to cut such beauty with a knife? "It is very important to feel the balance of taste," Ksenia says. "Desserts with a lot of layers are less popular now - when you eat a piece of cake and there are seven different flavors everything is beautiful, but it's not clear what you ate. Was it raspberry, mango, peach, strawberry, or coconut? Personally, I prefer mono-flavors when you taste a piece and feel a layer of black currant and blackberry, a cream cheese mouse, and finally delicate biscuit - with pieces of the same berries." In addition to creating cakes, Ksenia conducts master classes around the world - the dates of her classes are already set for the year ahead. And for those who can’t attend the classes, it is possible to learn virtually: More than 3,000 students have already learnt on the website. 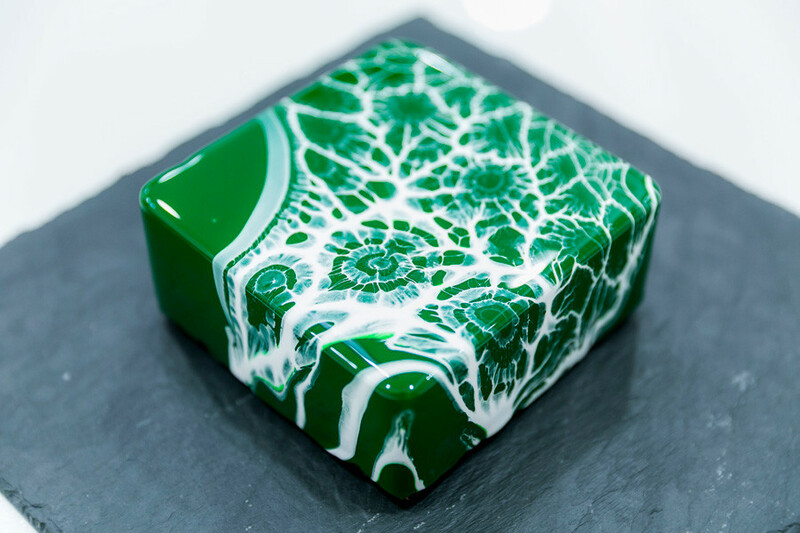 "I’m very happy that I have the opportunity to share my knowledge with people, to give them the courage to reveal their own skills," says the pastry chef. "Of course, I keep in touch with many students, I’m happy to answer questions." Ksenia adds that in addition to master classes, she plans other major projects - and promises to announce all news in her Instagram, so stay tuned. Forget about the calories and read the sweetest listing you've ever seen: 10 mouthwatering Russian cakes.